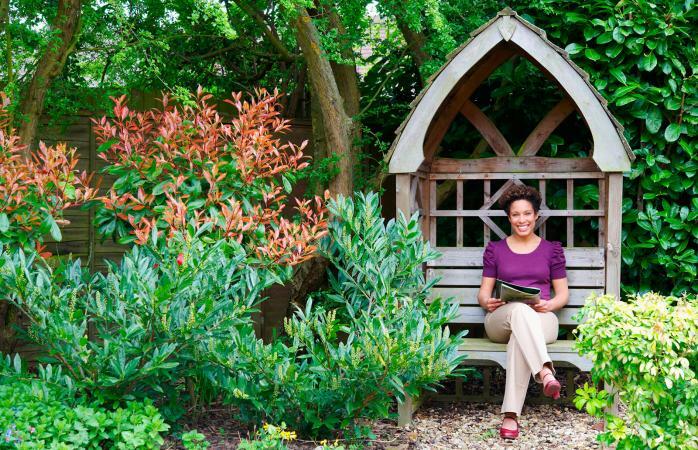 Free gardening magazines enhance your gardening education. Learn new techniques, explore plant varieties, and enjoy lush photography in your favorite garden magazines. You can learn more about vegetable gardening, flower gardening, roses, herbs, and organic gardening through some of the more popular magazines. Collect articles and photos and paste into your garden journal for inspiration and information. Garden & Greenhouse is a magazine that caters to a wide range of gardeners, including standard gardeners, hobbyist greenhouse growers, and small commercial or retail gardeners. The magazine is published 12 times per year and includes editorial columns as well as articles on plants, growing practices, products, and more. It is published by Nichols Publishing Company. In order to get your free subscription, visit the website, then download and mail the required form. Visit Proven Winners to get a free copy of their Gardener's Idea Book. It is an annual publication you can receive for three years at a time (after that, if you still would like the subscription, just renew it on the website). It's filled with gorgeous photos along with tips and ideas for creating beautiful spaces with various plants and flowers. You'll find ideas for unique gardens and ways to use plants in trouble areas, like sloped landscape. In addition to browsing beautiful full-color images of award-winning vegetables, herbs, flowers, and more, Johnny's Selected Seeds catalog has helpful information. Mother Earth News names it as one of the top garden catalogs because of its detailed growing instructions and helpful tips, and it's also a top pick according to the Press Herald. Just visit the website and fill out your personal information and grower profile to receive your free copy, which will be mailed to your home. Park Seed Company is one of largest in the industry, and their brilliant, colorful catalog is named as one of the top ten by Birds & Blooms. Along with clear photos and details about their flowers, vegetables, and plants, they also have helpful tips throughout the catalog. You can also find suggested gardening accessories, fertilizers, and short cuts like seed tape. Visit their website to request your free copy of the Park Big Seed Book. If you're not having much luck getting your hands on free magazines, you can try some other options that may just take a little time. 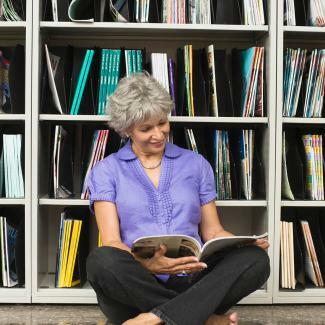 Visit your local public library for a wealth of gardening books, magazines, and information. Most public libraries subscribe to the more common publications, and you can request that they subscribe to additional periodicals. Borrow magazines at no cost and learn about your favorite hobby. Yard sales abound in the warm weather months in most areas of the country. Many gardeners find treasures at these sales, including boxes of horticultural magazines and more. Available for pennies or free to anyone willing to take them, free magazines may be just a house or two away. Check out the latest yard or garage sales and if that box of dusty magazines isn't selling by the end of the afternoon, offer to cart them away free. The Freecycle Network is a non-profit group that boasts over four million members in several countries. Members register with a local group and sign up for online posts. Members post "Offers" and "Wanted" ads. Offers range from free kitchen cabinets to puppies, but often magazines, books, and periodicals are posted as free, as long as you're willing to drive to the pickup place and take them away. Post your wanted ad for free gardening magazines and hope for a bountiful harvest of periodicals! Many local and national garden clubs offer free magazines to their members. Although you will pay membership dues, free magazines or newsletters are typically part of the offer. The National Garden Club and The American Horticultural Society are examples of memberships that include free magazines. Bloggers love connecting with their followers, and on occasion you might find a garden blog with a contest for a magazine subscription. A past example is this one from Jan Johnson, who ran a contest that gave away subscriptions of Garden Design to three lucky readers. At some retailers you can find offers for a complimentary magazine copy with your order. At New England Hydroponics, for example, you can receive a free copy of Maximum Yield with your order. Sometimes you can find local publications that provide complimentary copies for people in the area. An example is Triangle Gardener, which provides free copies for in Chapel Hill, Durham, and Raleigh areas when they visit participating nurseries, plant retailers, libraries, and more. You can also find promotional offers from some websites such as Mercury Magazines. You'll be required to fill out a short form that includes information about your occupation, and you will be asked if you would like to participate in various trial of special offers. Refuse these offers, and you'll see which publications are available to you based on your industry. Before your next birthday, request that instead of a regular present, you would love to have a magazine subscription instead. Have a list of your favorites to share with friends and family and you may be surprised with a gift subscription. Lowe's, the home improvement company, offers a free ideas magazine for home, garden and landscaping ideas. The Lowe's Garden Club promises a free newsletter too, along with coupons and special offers. Weekend Gardener magazine provides a free online, digital version that's chock full of beautiful photography and sound advice. Read Fine Gardening online. Though the print version costs, past digital versions are free. Packed with pictures and articles on everything from ageratum to zinnias, Fine Gardening is one of the best-known and loved magazines for the gardening enthusiast. Download select articles from digital issues of The Garden for free for information on planting, getting better produce, flower tips, and more. While it can be difficult to source print magazines mailed to your home for free, you have a few options, as ways to pick up free magazines elsewhere. Browsing garden images and getting tips can help inspire you and help you achieve the perfect garden.